VeChain (VEN) Cahrenheit, an auto service inclined platform powered by VeChainThor Blockchain, is authoritatively bringing in over 1 million+ Consumers into the VeChain ecosystem through a partnership it just sealed recently. The platform, which recently finished its private round of sale, is a leader in the automobile industry. Seen as a trillion dollar auto-inclined firm, Cahrenheit, partnered with Klover, who is bringing in over 30,000 SMEs, more than 1 million+ Consumers and over 30 insurer partners inot the Cahrenheit. Klover and Cahrenheit will work closely towards bringing a new dimension into the auto industry, thereby enhancing VeChain ecosystem. Based in China Klover is an InsurTech company. It is the first internet insurance company conferred with China’s National Insurance Brokerage License. The company is present in more than 30 cities in China with a relative position in the Chinese market share. Klover has a B2B mobile App called Youyidan, a tool that enhances business development requirements of many SMEs. VeChain sees Cahrenheit as a blessing to the blockchain community for the fact that it is revolutionising the auto industries while taking innovations necessary for this era into cognisance. 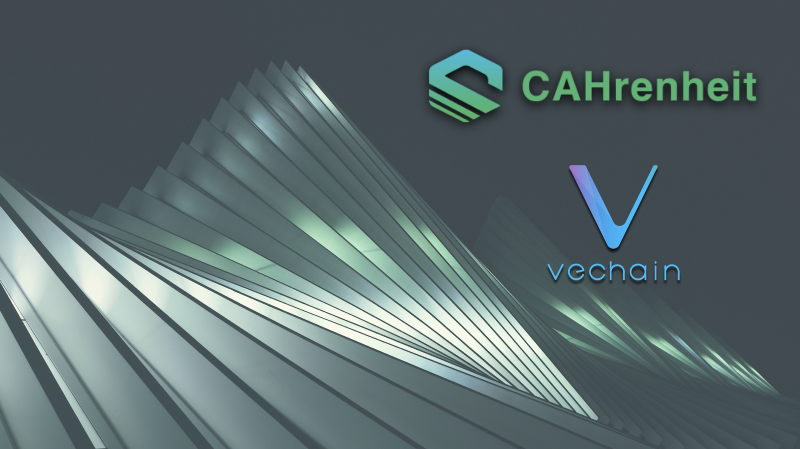 Mr Sunny Lu, Ceo of Vechain said, “Cahrenheit’s top brass is composed of world-class entrepreneurs with unicorn building experience and highly experienced industry experts with avid technical and business development know-how”, adding that the platform has a well-developed ecosystem of numerous use cases. Recently VeChain launched an event for its one year anniversary for the fact that it is almost a year since the cryptocurrency announced its token sale. Interestingly, the one year anniversary coincides with VeChain’s token swap and X Node binding. The VeChain team believes that X Node holders have made incredible commitments and have dedicated their passions to the team, while the same thing goes to the entire community.